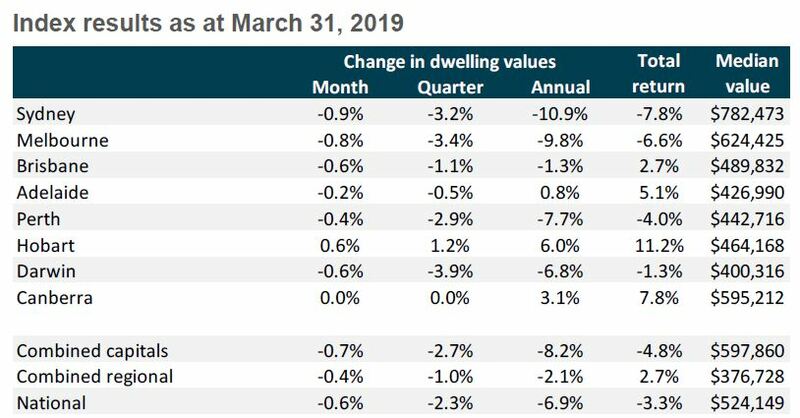 Australia's housing slump could turn into the 'longest and deepest” property downturn in modern history. 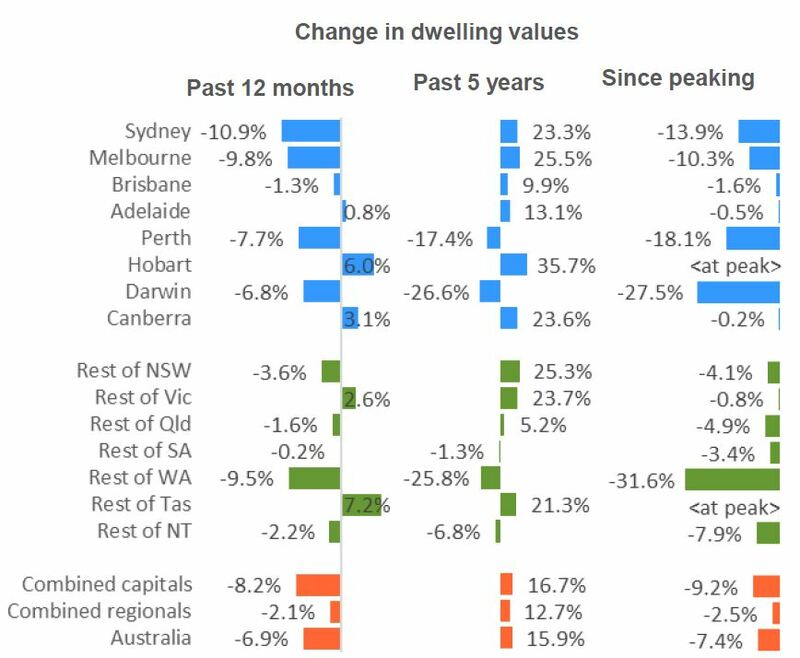 According to Corelogic, Australian home values have returned to levels last seen in September 2016, these declines are concentrated in our 2 big capital cities, while regional dwelling values have not fallen anywhere near as much. Well, it depends on which market you’re talking about, as some are performing much better than others. It also depends if you’re a buyer, a seller or a long-term investor. • Uncertainty about the outcome of the upcoming federal election and the potential tax changes. 1. Prestige property markets – the most expensive properties in our cities always suffer more at this stage in the cycle. 2. Off the plan apartments and new apartments are feeling the brunt of decreased lending to investors. • Whether the RBA stimulates our markets with interest rate cuts – which I see as likely. • Whether we get a change of government and Labor introduce changes to negative gearing and CGT. Both will be negative for our markets, but there is likely to be a surge of investor activity getting in before the introduction of the tax changes. • The stimulatory effect of any election promises. 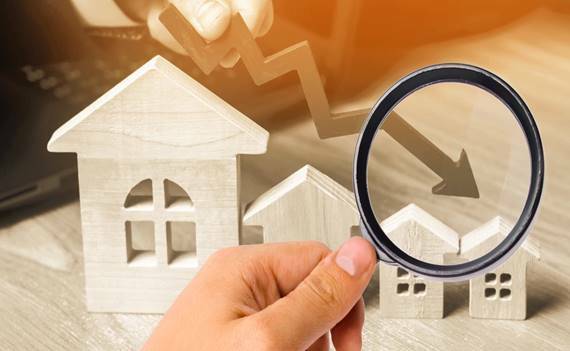 • A likely surge in investor activity in the second half of this year now that the ALP has announced January 1st 2020 as the day they will commence negative gearing and CGT changes. That means this is likely to be the 'longest and deepest” property downturn in modern history. This downturn has been brought about by a credit squeeze - a significant tightening of credit conditions at a time in which the overall fundamentals are sound, the economy continues to grow, employment growth is high and interest rates are low. A: Remember…there is not one property market and some markets around Australia are still performing well and even certain suburbs and submarkets in Sydney and Melbourne are holding their own.